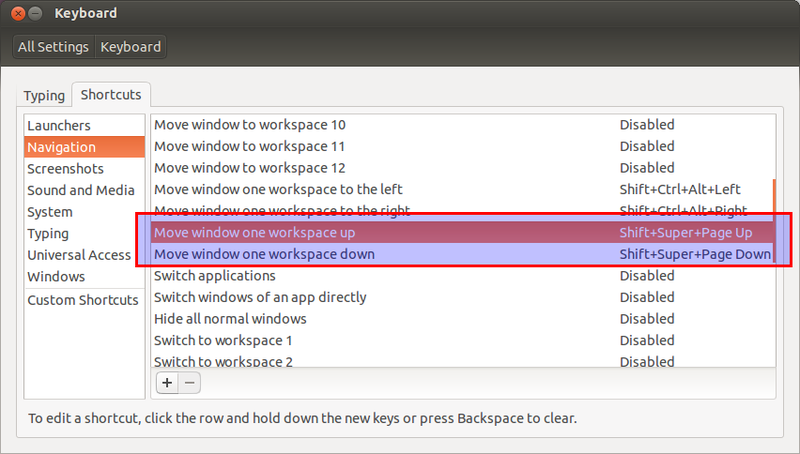 I tried to move a window one workspace down using the Ctrl+Shift+Alt+Down keyboard shortcut. It didn't work. I could get it to go left and right, but not down. It seems the down arrow does not work at all (unless if I am in a word processor or Internet browser). 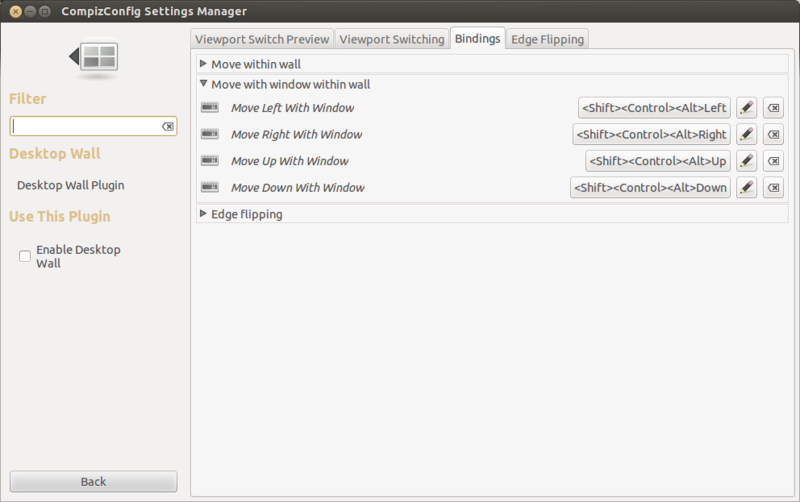 Restore the Ctrl + Alt + Num Pad 4 and 6 window positioning commands? Seemingly missing keyboard shortcuts; Can I create them myself?